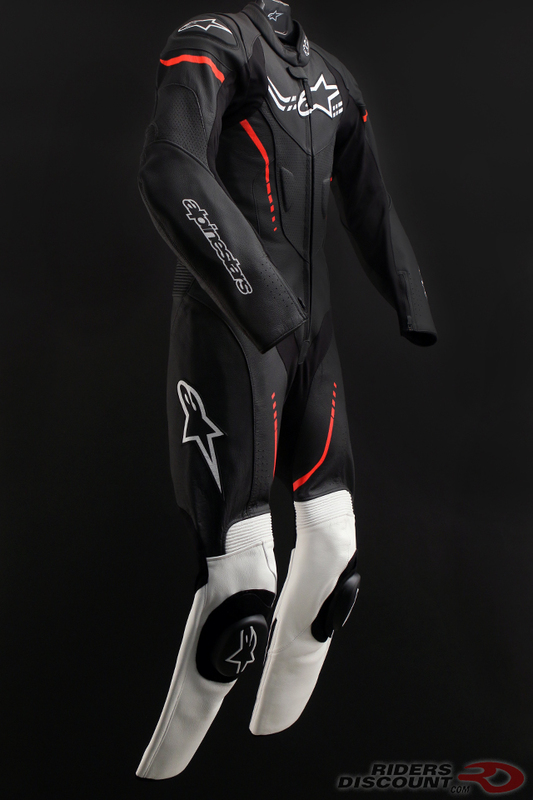 The Alpinestars Youth GP Plus Cup Suit is constructed from 1.3mm bovine leather, making it extremely abrasion resistant. 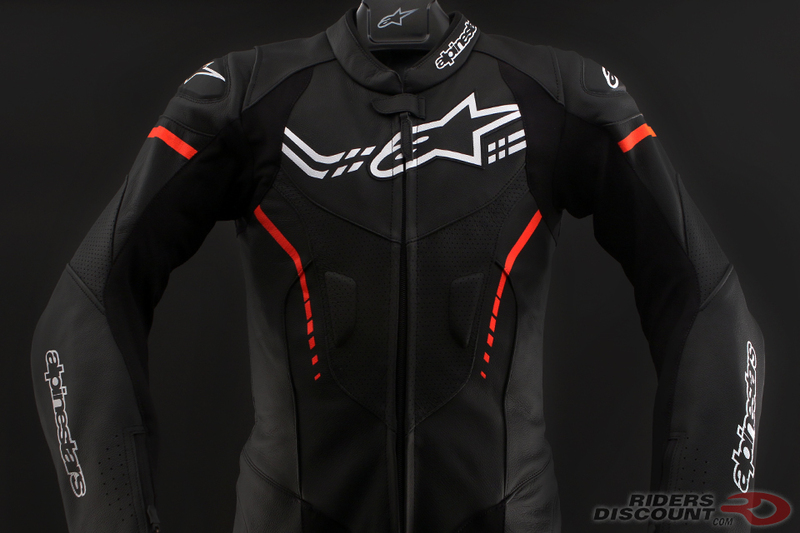 Perforation throughout the suit allows for excellent ventilation. 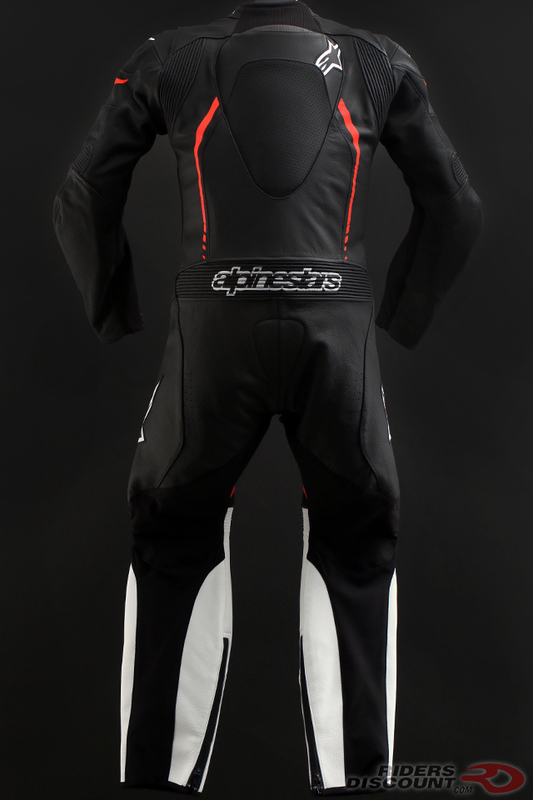 The Youth GP Plus Cup Leather Suit incorporates polyamide stretch panels on the arms, crotch, and chest for flexibility and comfort. 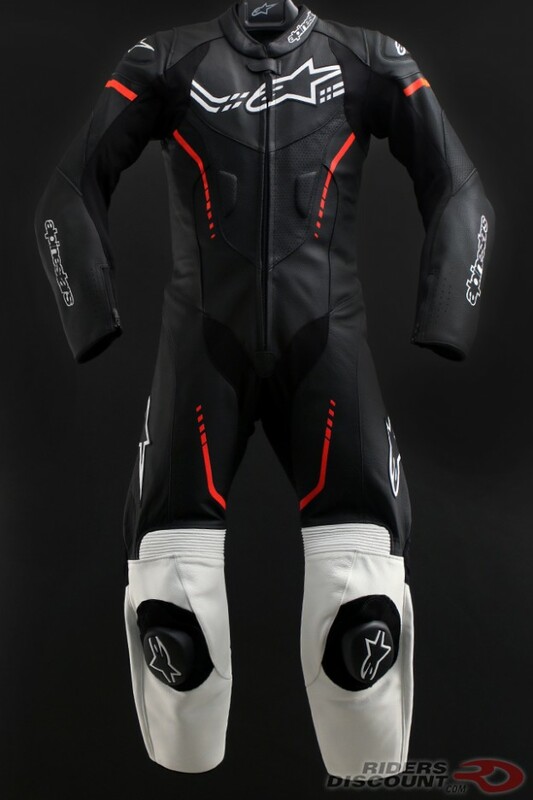 This suit is equipped with leather accordion stretch panels for better mobility and performance. 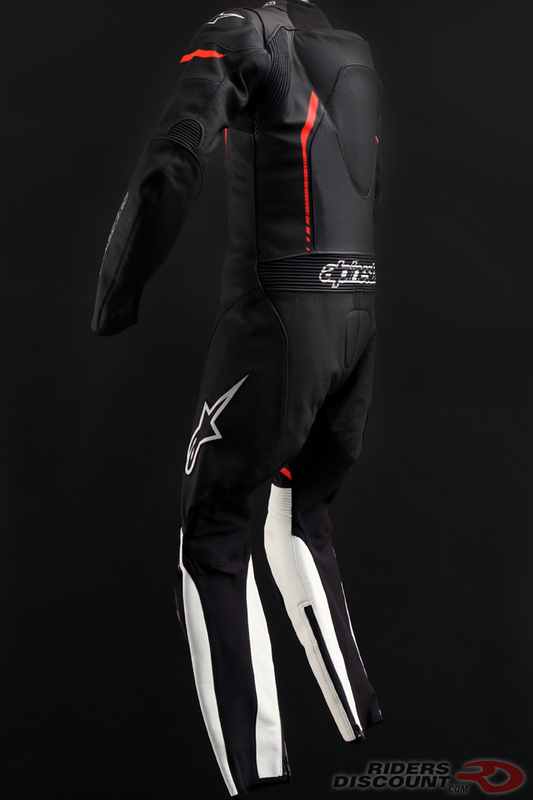 This suit incorporates internal elbow, shoulder, knee, and tibia protectors. 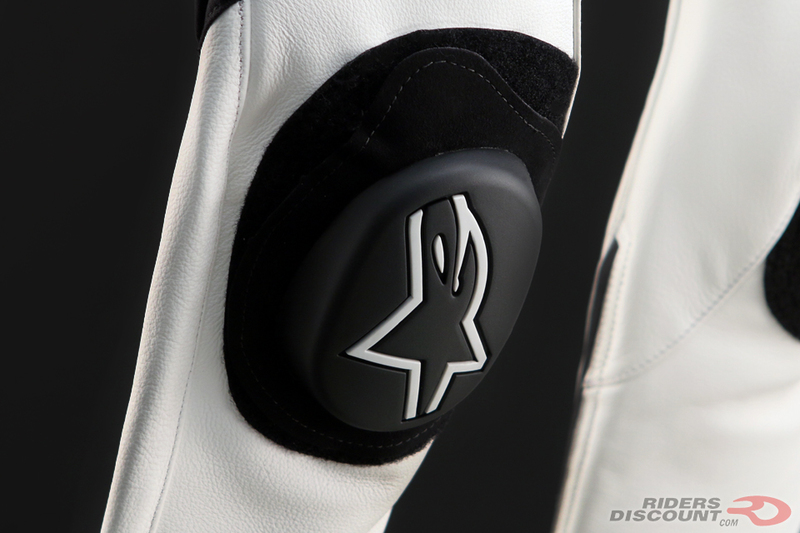 External polymer shoulder protectors and replaceable PU sport knee sliders offer additional protection. The inside chest, hip, and coccyx areas come equipped with PE comfort padding. If you’re looking for more protection, the Nucleon KR-Y Youth Back Protector is compatible and sold separately. The built-in aerodynamic back hump is sculpted for increased airflow.